This work is in the public domain. Image courtesy Dallas Museum of Art. 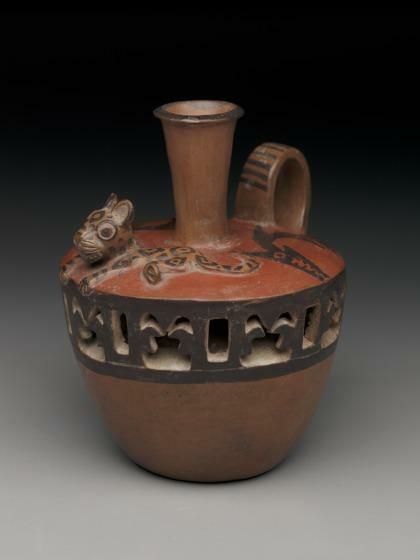 This vessel reflects the influence of Inca imperial expansion on coastal ceramic styles. Kimberly L. Jones, PhD, Inca: Conquests of the Andes / Los Incas y las conquistas de los Andes, Label text [1976.W.228; S.1970.1; 1987.376; 1989.W.235; 2003.28], 2015.